Award winning writer Leslie Kenton is renowned for always breaking new ground and impeccable research and her new book is no exception. Are Your Hormones Blocking Weight Loss? Leslie Kenton’s views on health are always practical and usually at the cutting edge, and over the years she has written an amazing number of books and articles that many women have instinctively responded to. 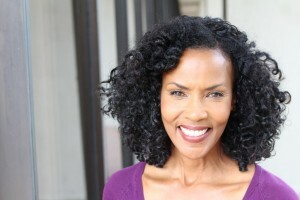 I know from the piece she wrote for Bio Hormone Health for Menopause Month that many women found her book ‘Passage to Power’ to be a helpful guide through the physical and emotional sides of menopause. Now she addresses what is a constant concern for many women, and that is how to achieve a natural, long-lasting weight loss that is healthy and nurturing. Well she has done it yet again with her Cura Romana weight loss plan. The plan is accurate, well researched and, as you would expect, highly practical. The possibility of losing up to 7lbs a week doesn’t sound bad either. The actual diet plan itself was something that she was introduced to 20 years ago when it was only available through a small number of exclusive clinics and since then she has worked to find a way to bring it to a wider public. Interestingly the research and clinical procedures behind Cura Romana were the work of the brilliant British researcher and clinician, ATW Simeons, who in the 1950’s claimed to have discovered the cause and cure for obesity. He published papers on his findings in many medical journals including The Lancet and the basis of his argument was that obesity was nothing to do with a lack of willpower but a metabolic disorder. This research led him to identify where in the brain weight control might be located — which turned out to be the diencephalon – and his conclusion was that weight gain was the result of abnormal functioning in that area. His revolutionary discovery, and the basis of Leslie Kenton’s diet book, was that injecting overweight patients with minute quantities of human chorionic gondotrophin, (hCG) – a glycoprotein found exclusively in the bodies of pregnant women – would correct functioning of the diencephalon to bring about safe and rapid fat loss. In pregnancy hCG enables a pregnant woman’s inessential fat stores to be converted into energy to nourish the developing child. When combined with his highly specific diet program he claimed results that were able to turn unwanted fat deposits into usable energy at a rate of between 1500 and 4000 calories a day, with little or no hunger pangs being experienced. 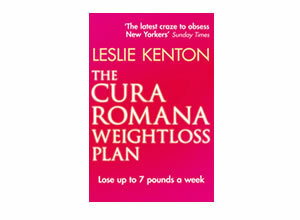 Leslie Kenton spent many years researching Cura Romana and working with doctors worldwide who were using it, particularly in America. The drawback to offering the programme to a much wider audience was that of overcoming the difficulty of hCG injections. 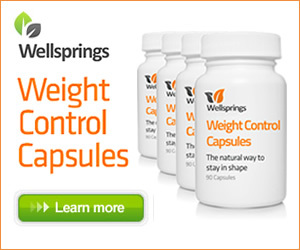 Then two years ago, working with a few pioneering doctors and naturopaths, she discovered a simple, easy to use at home, homoeopathic form created from the original substance and which had the same effect on promoting weight loss. The book shares her wide-ranging experience of working with this weight loss program herself, and with the many clients she has now monitored and mentored personally through her associated website. I have been fortunate enough myself to try out the programme and it certainly does promote rapid weight loss with the dietary element being very clearly spelt out and adhering to the high protein and no carbohydrate philosophy that has been very popular over the last few years. I can’t say I always found it easy, as my natural tendency to not want to read instructions made the first couple of weeks rather tricky, but it is certainly clearly laid out and over the 28 day period I lost the weight that I had stated I want to lose. It is a system that has been endorsed by many happy clients, and if you want to read testimonials then you will find those on her website which was developed with her son Aaron. It offers a truly interactive program based on daily videos, audio, written materials, tools and spiritual practices led by Leslie herself. If you want to make a start on changing the way you approach your weight as a life changing exercise, and not just a quick fix, then reading this book would be an excellent place to start. greatest impact. As with all love affairs, there were some bumps in the road. older and our bodily and energy systems lose their resilience, so we struggle to hold onto this negative energy. Hi there very cool website!! Man .. Excellent .. Amazing .. I will bookmark your blog and take the feeds additionally?I’m satisfied to search out numerous useful info right here within the submit, we need develop more strategies in this regard, thank you for sharing. . . . . . Thank you for the good writeup. It actually was a enjoyment account it. Look advanced to far added agreeable from you! By the way, how could we keep up a correspondence?